The Cape Cod Baseball League is delighted to welcome Dietz & Watson as the presenting sponsor of our playoffs starting on August 4th. The Cape Cod Baseball League is pleased to announce Dietz & Watson as the presenting sponsor of the playoffs, which are set to begin August 4, 2018. The Cape Cod Baseball League Playoffs consist of 3 rounds of some of the best baseball of the summer. Each round is best two out of three with the winners advancing to the next round. The playoffs culminate with the Cape Cod Baseball League Championship series where the East Division winner takes on the West. Dietz & Watson has been sharing their hand crafted beef franks and sausages with baseball enthusiasts for nearly 80 years and is thrilled to sponsor this premier amateur baseball league. 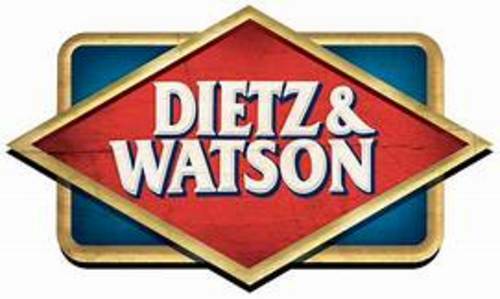 Founded in 1939, Dietz & Watson is one of the largest preparers of premium deli meats and cheeses, offering more than 1200 products at the finest supermarkets and neighborhood delis throughout the United States and the world. The Cape Cod Baseball League traces back to 1885 and is the premier collegiate summer league in the nation. The league is comprised of 10 teams that span from Wareham, MA up to Orleans, MA. The season features 44 regular season games followed by playoffs and a final Championship round. As the league celebrates its 133rd year, it counts more than 1,100 all-time alumni performing at all levels of professional baseball with a record number (306) former Cape Leaguers on Major League rosters today. For more information visit http://www.capecodbaseball.org.